This 53-acre parcel of land, located along the Ashby town boundary, was donated by Ashburnham resident Helen Kirby who owned it for many years. The donation was made as part of a larger project that permanently conserved 163 acres of land located in Ashburnham and Ashby, including several tributaries which flow to Fitchburg Reservoir in Ashby. Of the 163 acres of land conserved, 110 acres has been acquired by the City Water Division and the remaining 53-acre parcel has been protected by a conservation restriction which is also held by the City Water Division. 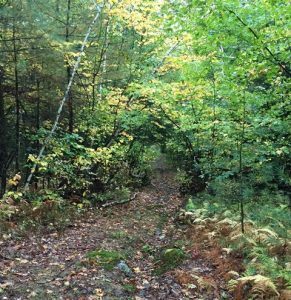 There is a looped trail system that allows visitors to explore the beautiful and remote woodland consisting mostly of white pine and oak. Trails meander through low bush blueberry, stands of mountain laurel, along stone walls, past a hidden pond and across small streams. They are all open for multi-use recreation. 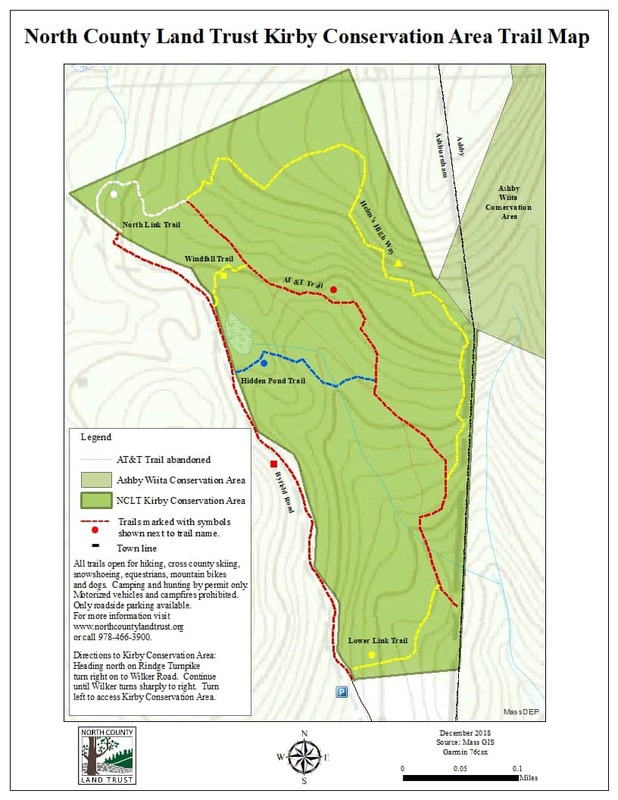 Download the Kirby Conservation Area PDF Map or see the online map below. Heading north on Rindge Turnpike turn right on to Wilker Road. Continue until Wilker turns sharply to right. Turn left to access Kirby Conservation Area.